I‘m pleased to start a this series “31 days to becoming a pro”. I recall the time when I just picked up my first camera and started on a long journey of experimenting and learning and discovering my own style of photography. Here’s the first article in the series. With this series I try to recollect everything that I learned to to grow as a hobbyist, artist and as a photographer. Cameras and gadgets have this thing about them — you want to shoot and turn it back to see the result. Little do we worry about the camera shake and the right way to hold the camera. And we realize in the long run that some of our basic techniques are flawed. Simply owning an expensive and sophisticated camera does not guarantee a nice picture. It is the photographer who makes great photos, not the camera. 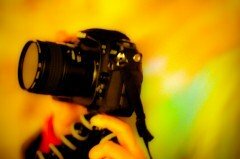 And if you cannot hold your camera correctly, your images will always come out blurry due to camera shake. While using a tripod is the best option for keeping your camera stable, not everyone like to carry it everywhere. A good idea is to get the grips on the basics. Here are 7 simple steps to help you get the right grip of your camera. The camera-body is shaped such that you can get a better hold if you use the right hand to grip the camera. This allows you to place your right hand’s forefinger on the shutter-release. The left hand goes under the camera with the thumb and middle finger extending to allow reach to the lens rings. Thus the left hand bears the camera weight while allowing control of the lens. Lean against a something solid for extra support and rigidity. A tree, a car, a pole or a building will do fine. Optionally, you can kneel down on a plain surface for a firm posture. Place your elbows slightly behind the knees when you shoot while sitting down. When I’m really worried about the camera shake, I press the camera against a stable surface like a tree or something. This means that now my job is to just keep it pressed against the surface and shoot without being worried about the movement. 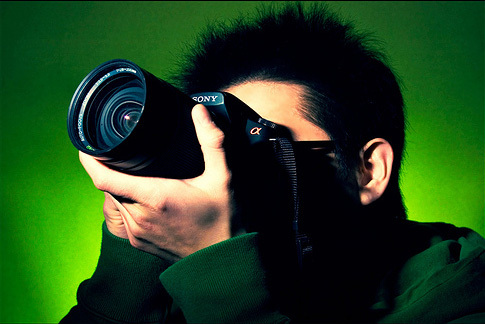 Using a viewfinder lets your camera rest against your face and provides an extra support to it. However, while using the LCD screen for viewing your shot, tuck your elbows comfortably against your body to avoid shaking the camera. Consumer cameras especially the entry level can take too long to capture a shot in dim light. If you are too eager to point, shoot and move away, you may move the camera while the shot was in progress. And in the shot all you’ll see is the ghost effect. Listen to your camera. If the shutter snaps right back you are done. If you don’t hear it snap back, wait another second till the shot is complete. The process of making the capture is as important as holding the camera itself. Don’t neglect it. While you can’t go buying a heavy camera for issue like balance, a heavy camera does tend to settle more steadily against the palm as opposed to the lighter ones. That’s a good choice. If you have more budget you can compare between D7000 and D5100 too.